The Weapon Carbon Fiber features the 6k Dragon sensor. A lightweight, modular body weighing in at only 3.3lbs makes it a great option for aerial, gimbal, and handheld configurations. The redesigned body puts all inputs and outputs on the side of the camera giving the user easier access. 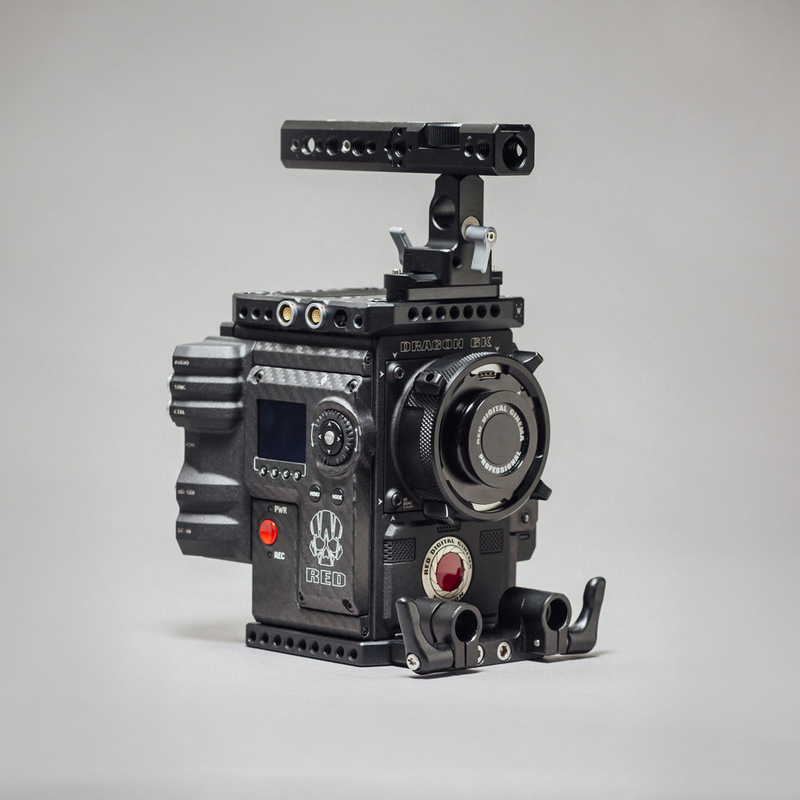 Our kit includes the Wooden Camera Accessory package which gives you two lemo ports for simultaneous LCD and EVF connections in addition to a3-pin RS trigger, studio bridgeplate, cable-free battery plate, and an EVF eye-leveling rod system. The benefit of the Carbon Fiber version adds internal 4k Apple ProRes recording up to 30fps and a faster processing engine which allows you to shoot at lower compression ratios resulting in a cleaner image. The Sidekick is a small LCD screen on the right side of the camera which allows you to change all functions of the camera without the need of having a Red touchscreen attached. The Weapon can shoot 75fps @ 6k, 120fps @ 4k, and 240fps @ 2k. + Can the Weapon record Apple ProRes? Yes it can. It can record up to 30fps @ 4k and up to 120fps @ 2k resolution. It can also record R3d files and ProRes files at the same time. + What lenses will cover at 6k resolution?